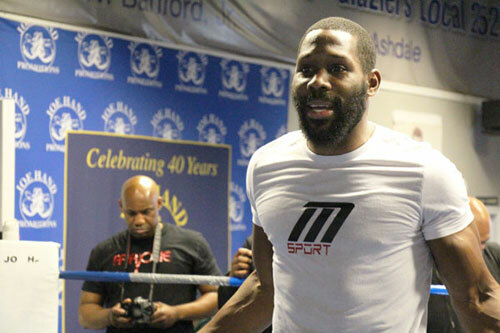 Anticipation for the biggest Philly fight card in years surged on Tuesday when Bryant Jennings, Joey Dawejko, and others featured on Saturday night's show held a media day workout for fans and press at the Joe Hand Boxing Gym in Philadelphia. 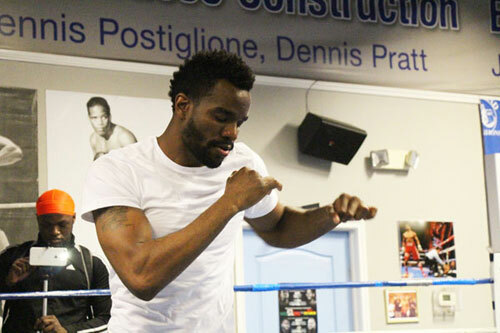 Both Jennings and Dawejko train outside Philly - Bryant in Florida and Joey in California - so this was the first chance for locals to catch a glimpse of the heavyweights. Also participating in the media day were super middleweight Jesse Hart, bantamweight Christian Carto and junior lightweight Joseph Adorno. 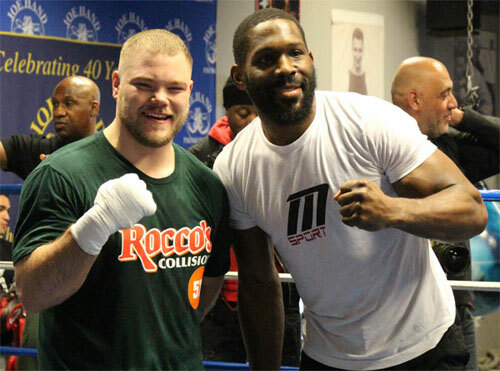 As Dawejko wrapped up his allotted time slot, Jennings jumped in the ring and playfully told Joey that his time was up. Dawejko joked back that he wasn't finished yet. Both Philadelphians then shook hands and posed for photos. It was a welcome display of sportsmanship by both boxers. Although the pair has always been likeable individually, it wasn't certain how they would act toward each other this close to fight night. To their credit, they were both gentleman and left any potential hostility for Saturday night. 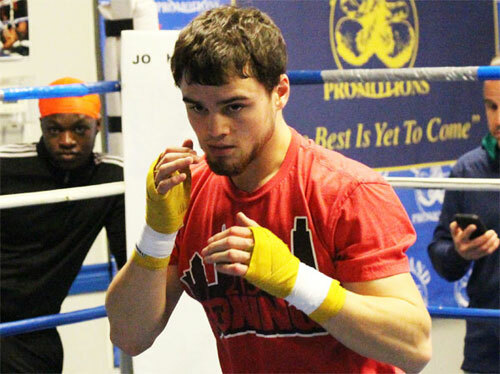 Fresh from his West Coast training camp, Dawejko appeared to be in terrific shape, solid and firm. Conditioning has been the one nagging issue for Dawejko during the lead up to the fight, and his appearance yesterday calmed any doubts that his fans may have had about the topic. Of course we'll see for sure on Saturday, but so far, so good. As expected, Jennings, always trim and bulging with muscles, looked to be in perfect condition at media day. He couldn't resist pulling up his shirt several times to display a perfectly sculpted rack of abs. He looked good and may have even grown a few extra muscles for this all-Philly showdown. 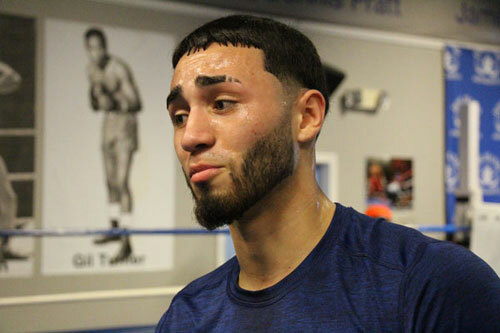 Each fighter ran through a brief four-round workout and then took questions from the media individually, before the next fighter took their turn. 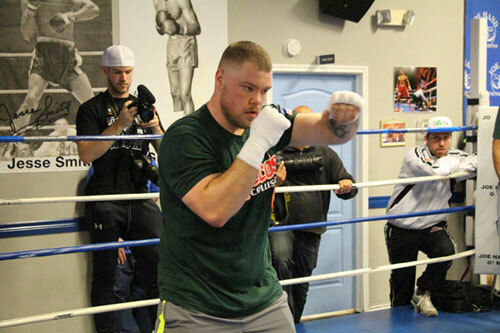 The one exception was Jesse Hart, who breezed in toward the end of the event, mingled with the crowd, answered a few questions, one on one with several reporters, and then shadow-boxed for a single three minute round. Once the bell sounded ending that round, he declared, "That's it!" Hart then posed for some photos and mingled a little more.